A travel mug is a nice idea to rock whether you love coffee, tea or other drinks, your drink will always be with you to prevent sudden thirst. Besides, it’ great way to keep your drink hot when you need that. 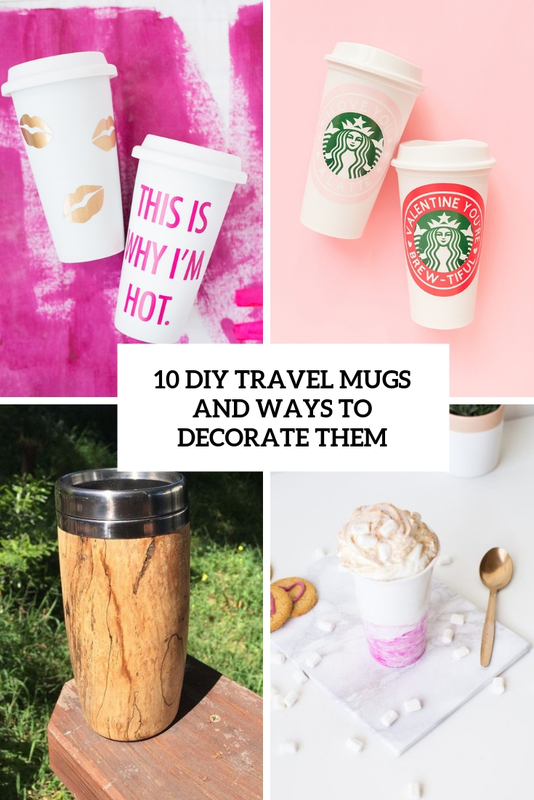 You can make your own travel mug if those that are on sale don’t satisfy you or go for a usual one and spruce it up to make it fit your style. Here are some DIYs to inspire you and maybe you’ll realize some of them. Can we jump back to the 90s for a minute? Holographic designs and touches were a hit back then, and if you want to make a piece with a touch of the 90s, you’ll love this tutorial! Travel mugs are always handy to have around and the fact that this one is iridescent is just a huge bonus. Just buy an insulated mug with a paper insert for adding photos, etc. and this DIY is incredibly easy, and you can even switch out the filler as often as you want in case you ever get sick of the holographic look. A holographic travel mug is not only fun to look at but it only takes minutes to make and I sourced the supplies below so you don’t have to work hard at all to make one for yourself. When doesn’t glitter make you feel happy? Okay, let’s rule out the times when it’s appropriate to refer to glitter as “the herpes of arts and crafts” when it’s absolutely everywhere after a project. Glitter makes everything look happier and prettier. 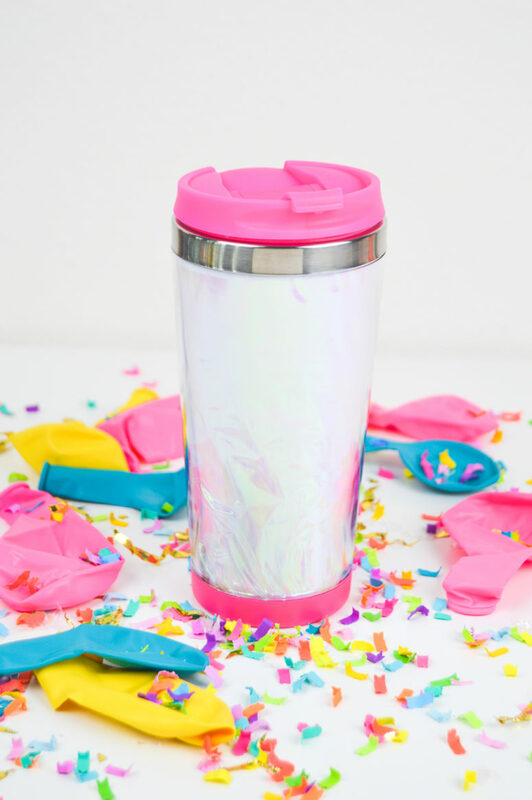 This tutorial will tell you how to make a cool glitter travel mug – choose the shade of glitter you like and glam up your drink! Winter is the perfect season to settle down with a warm drink and a nice long book. But as much as we’d love to do that all day every day, sometimes you still have to be on the go, despite chillier temperatures. 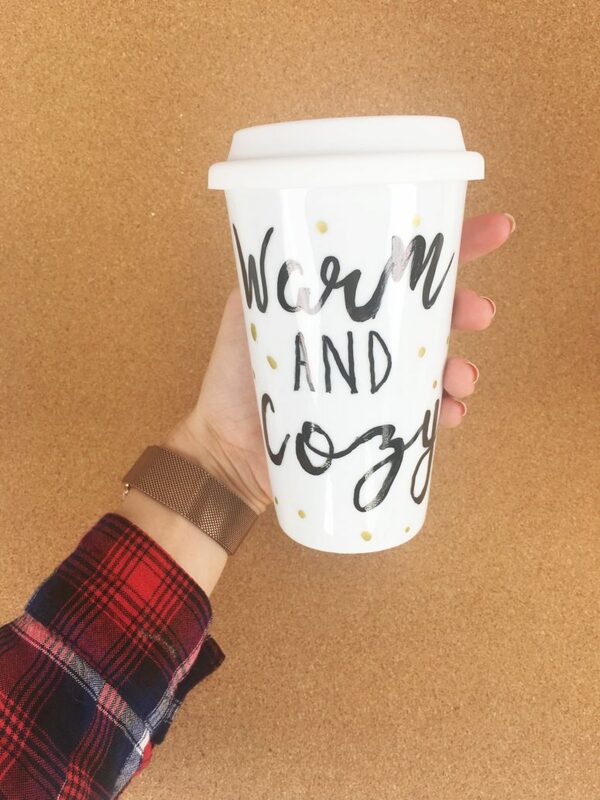 Deck out a boring travel mug with a sharpie and some inspiring quotes, and stay toasty no matter where you go! Watch a video tutorial if you want and enjoy crafting! 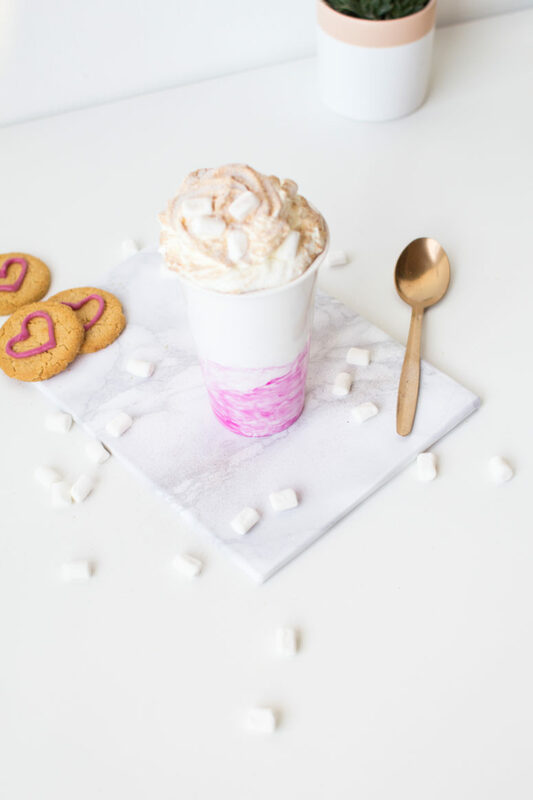 It feels like Valentine’s Day is just round the corner, and you can make these awesome and hilarious mugs to help you get prepared! Even if you don’t’ want to make them for the holiday – they can be actually around during the whole year as they are super fun and cute! 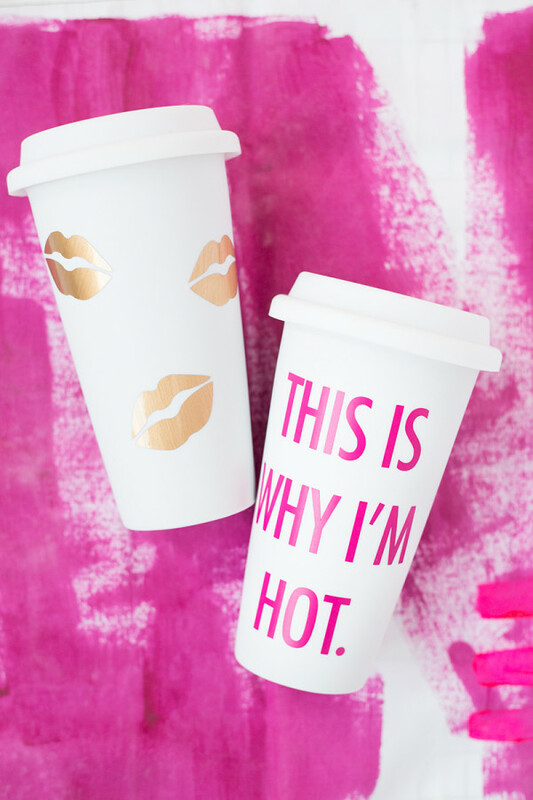 These are travel mugs decorated with gold lips and a fun quote ‘This is why I’m hot’ – get inspired! 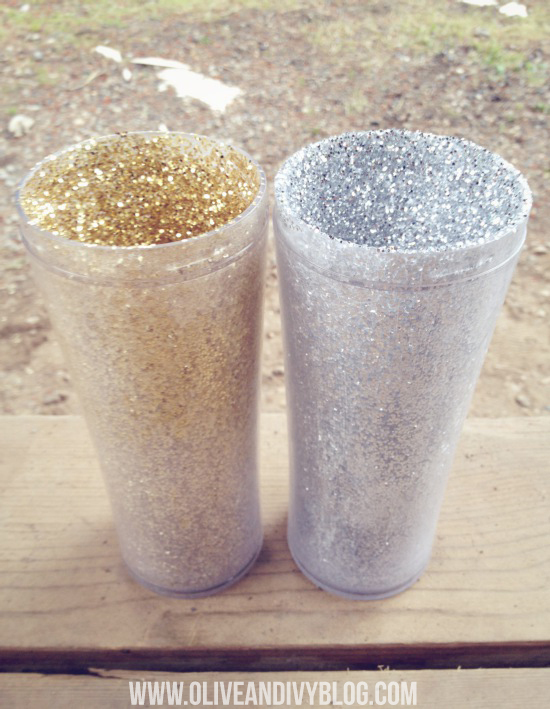 Turn your usual kid’s travel mug into a stylish and fun piece with lots of glitter! 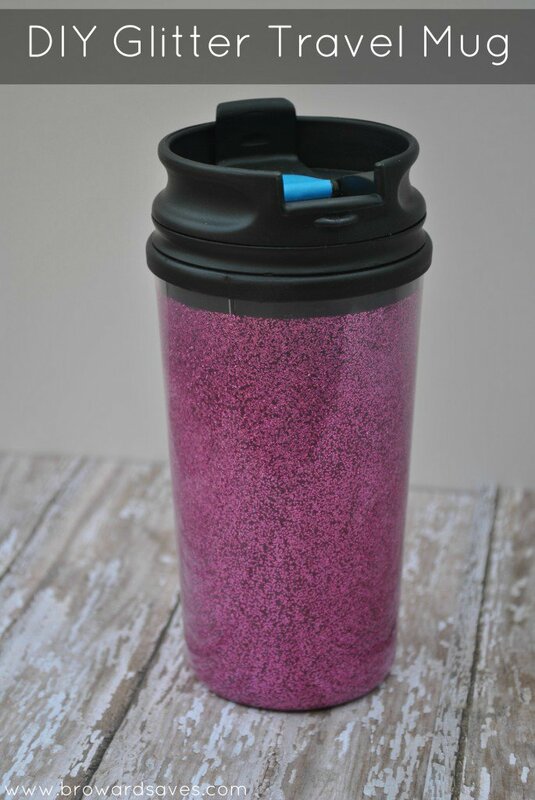 This project tells you how to turn a cheap travel mug with a removable tumbler into a stylish pink glitter one. A little tip before you start crafting: once the glue and glitter has dried it is safe to rinse your cup out with water and let air dry. Do not place in microwave or dishwasher. How about making oilcloth travel mugs? Have you ever bought one of those travel cups where you can insert your own picture, but when you do, it gets wet icky when you try to give it a wash? To make life easier, try using oilcloth as the insert. It’s waterproof, easy to clean and looks super cute. It’ll add a nice pop of color to your caffeinated day! These oilcloth travel mugs are also fun to give as gifts and it’s easy to have a nice set to show off. And again about Valentine’s Day! There’s a lot to love about these beautiful personalized coffee travel mugs! 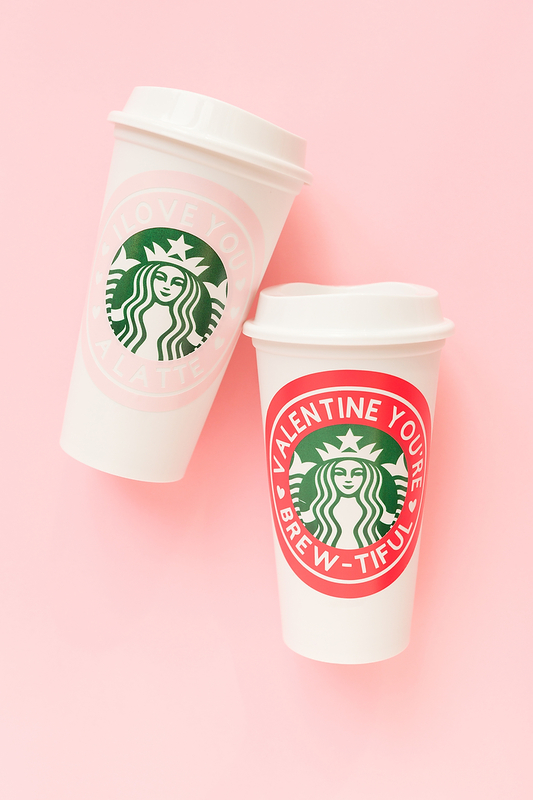 These are personalized coffee travel mugs are only $2 and make the perfect Valentine’s gift for the coffee lover in your life! Make some cute travel mugs with colorful stickers or appliques in pink and red with cute words like here. Read the tutorial and go craft them! 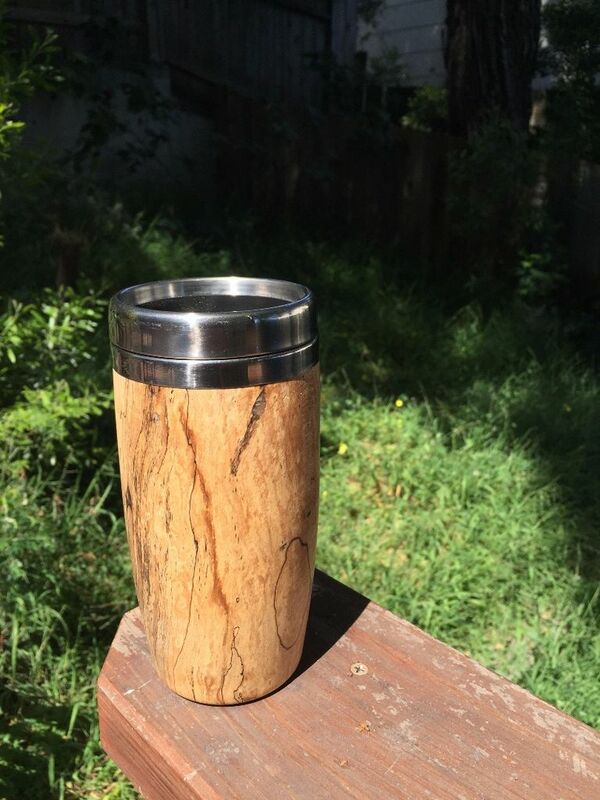 The wooden travel mug is a great intermediate level wood turning project with a really nice and functional end result. Such a travel mug will become a nice and bold gift for anyone, especially a guy, for any holiday – from Valentine’s Day to birthday or will be a gift for you yourself. Of course, it requires some skills but it’s worth it. Enjoy the warmth of natural wood while you sip your morning coffee and relish in the knowledge that you created something beautiful and functional. 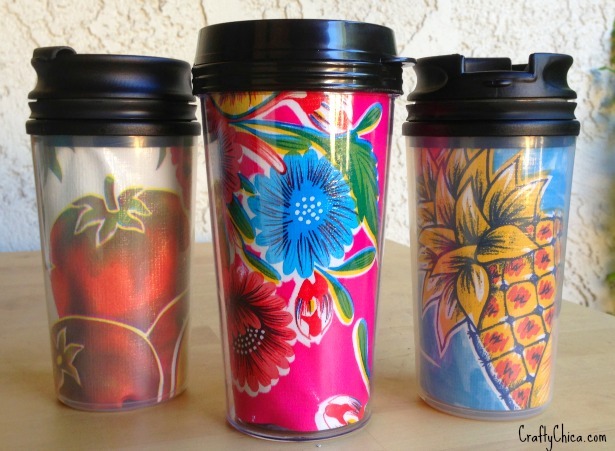 Make a beautiful DIY stenciled travel mug! 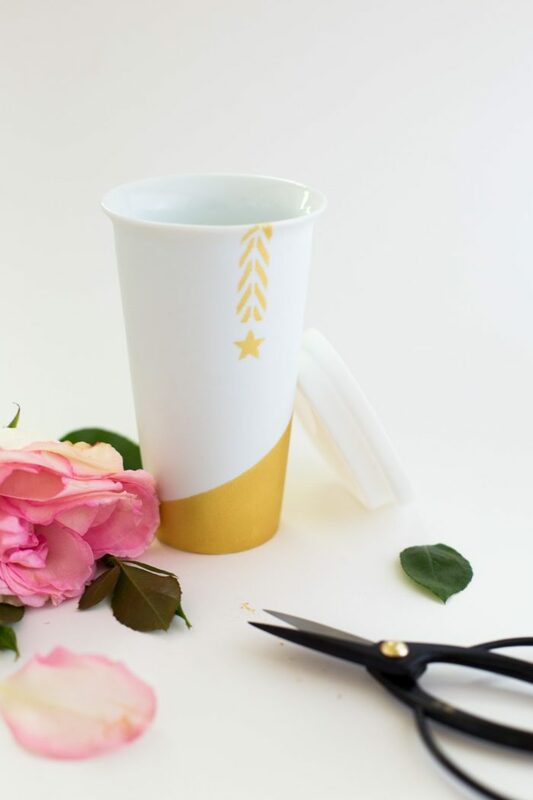 It is a double-walled ceramic cup with a silicone lid, and the author used Martha Stewart adhesive stencils and tape to give it a little gold star pizazz! Make such a cool and cute mug and don’t forget to take some of that slow down time for you. Your brain and creativity need it! Watercolor is one of the hottest trends for home decor – it’s a bold work with color. Make a bold watercolor painted travel mug in hot pink to rock the trend! Down worry about making it neat – watercolors are never neat. Try various shades for a cool look and Enjoy the bold color touche and a trendy travel mug!